Better communication leads to more sales, stronger teams, a collaborative culture and increased retention & productivity. Speaker Robyn Hatcher shines a light on how to get these results, drawing on her background in TV, communication coaching, and Neuro-Linguistic Programming. Robyn Hatcher, “recovering” actor, thought leader on communication wants to make sure that the impact you make is a powerful one so you can stand out, move up, lean in and take charge. 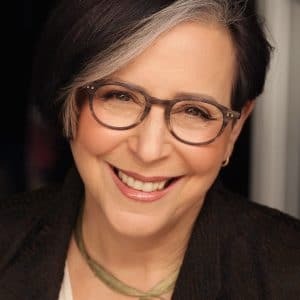 Despite being incredibly shy as a child, speaker Robyn Hatcher has spent over 20 years as a professional actor appearing in TV commercials, episodic TV shows, and the stage and has written for two daytime dramas. Her unique background gives Robyn a dynamic and interesting way of looking at communication. In her book, dubbed by Forbes.com as one of 2015’s Top 100 Coaching Books, she uses a unique communication-style system called ActorTypes. Speaker Robyn Hatcher is a communication skills coach & consultant with 15 years of experience. She has successfully trained and coached thousands of business professionals from Fortune 500 companies. In addition, Robyn is a certified Neuro-Linguistic Programming (NLP) Practitioner and a brain science geek. She uses a combination of her creative skills and experiences and her scientific research to turn her dynamic keynotes and breakout sessions into educational, engaging, entertaining events. Speaker Robyn Hatcher, owner and CEO of SpeakEtc. 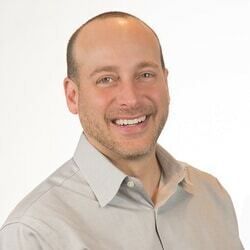 is a dynamic keynote speaker, communication expert, author, thought leader and award-winning actor. Robyn transforms the careers of business leaders, in the financial services industry and beyond, through corporate programs, private coaching, and interactive presentations. 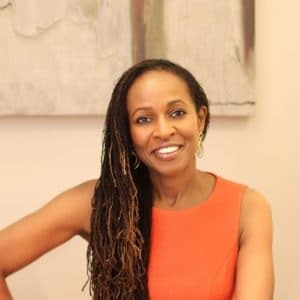 Using her 15 plus years in the entertainment industry and her experience as a certified Neural Linguistic Programming practitioner, she inspires. She invigorates. She leaves you with tangible skills you can apply the very next day. In 2018, Robyn appeared on Good Morning America speaking about the “me Too” movement and is thrilled and honored to have recently been named one of the ’21 Leaders for the 21st Century’ 2019 by Women’s eNews! 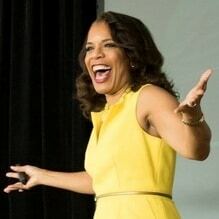 Speaker Robyn Hatcher delivers tangible, easy to implement techniques that turn your high potentials into high performers! How you are perceived = How you are received = What you can achieve. We are always making an impact. Every day you’re called on to present yourself. How do you show up? How do you stand out? Are you writing your own script or following someone else’s? Learn what it takes to discover and accentuate your unique assets; mitigate your liabilities and shift your mindset from the fear of bragging to the joy of sharing. Communication is like chemistry – when the right elements are combined, you get life-changing breakthroughs. But combine the wrong elements and you get unrealized potential and costly consequences. In this high energy program, speaker Robyn Hatcher shares the latest brain science research and her powerful, easy to implement formulas to help extract the best elements from your High Potentials and combine them in ways to improve engagement, collaboration, and your bottom line. In this talk, you’ll learn to craft and deliver messages that get measurable results, give even the toughest feedback without pushback AND avoid misunderstandings that impact collaboration, retention & morale. There is significant research to prove that the way we think can affect our own reality. But many of us have a hard time imagining how things could be any different than they are. Robyn has developed a process that helps you create and envision an alternate reality and begin to embody and step into that new way of being. Combining her many years as a professional actor and screen and television writer with her knowledge of brain science. Rewrite and act out your new story. Your bottom line depends on turning prospects into profits. To do that, you need to stop telling and start compelling. 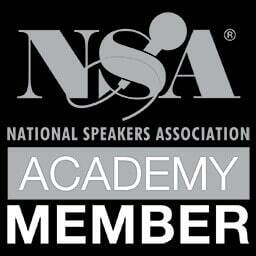 Speaker Robyn Hatcher, communication expert, and NLP practitioner has a winning formula that for 15 plus years has elevated the skills of sales professionals and sales teams from Fortune 50-500 companies like UBS, AXA Equitable, Hewlett Packard and others. Learn to win over prospects with easy-to-use body language & mindset techniques. Turn objections into opportunities and express your irresistible brand value. With today’s diverse workforce, it’s difficult to know how to be authentic, appropriate and effective. Using elements of the DiSC Profile assessment; the latest brain-science findings and practical, actionable tips and techniques, Robyn Hatcher’s dynamic presentation focuses on how to motivate and communicate with people who have different communication styles. Key Takeaways include how to: recognize and manage different interaction styles, structure feedback, and difficult conversations and understand what motivates and what threatens your listeners. Or you can take the opportunity to be seen as an iconic leader whose total ownership of the stage generates a powerful buzz that catapults your reputation. Which will you choose? Robyn believes that every conversation is a presentation and how you deliver your presentations could be the difference between being seen as an inspiring, influential leader or an insecure, ineffectual one. Key takeaways of this talk include how to: write engaging scripts (for sales pitches, value propositions, PowerPoint presentations), exude irresistible stage presence using body language & brain science insights AND command a room with the power of your voice.